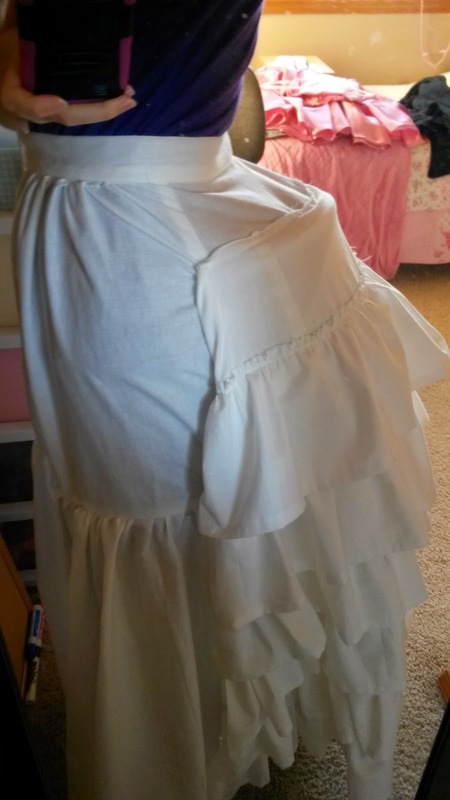 Last week I made my first bustle petticoat. YAY! As I mention in my previous post, I went and bough the Truly Victorian 101 Wire Bustle pattern and wire. After the pattern arrived I went to Joanns to get fabric. 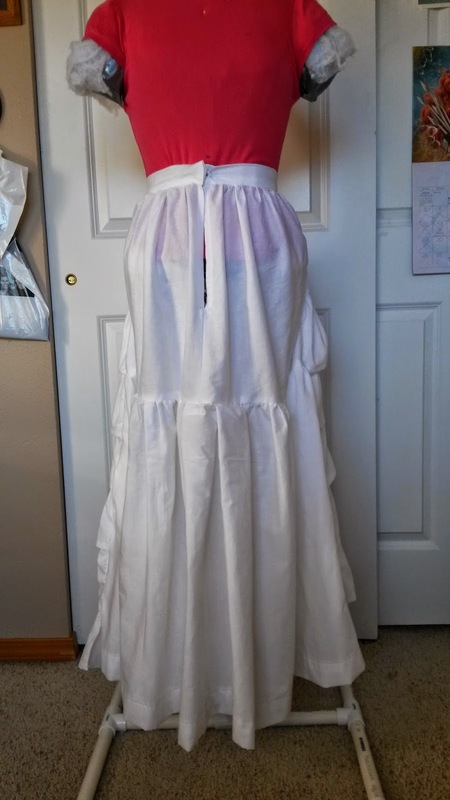 I used a plain white cotton and ended up getting 10 yards because I had a 60% off coupon plus I want to make a chemise out of it. The pattern only needed a little over 7 yards though. I have to say, it was the best pattern I've ever used! I've avoided patterns as much as possible, one because they're expensive, but also because commercial patterns can get kind of confusing. Well, that was not the case with this pattern! Sure, there was 1 or 2 things that I had to read a couple of times to understand what I needed to do, but other than that it went really smoothly! 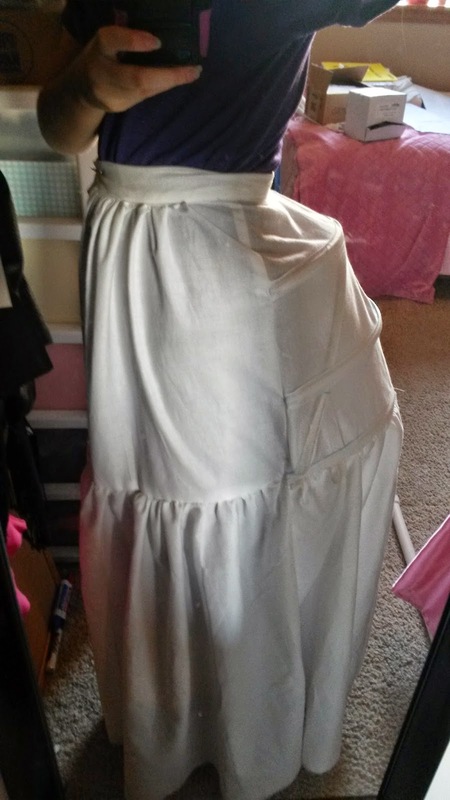 Here's the bustle before I made the ruffle overlay for it. I think I may have read the pattern wrong because the ruffle overlay didn't cover the first bone. Unfortunately i didn't realize this until after I had sewn it on and hand stitched the sides down. 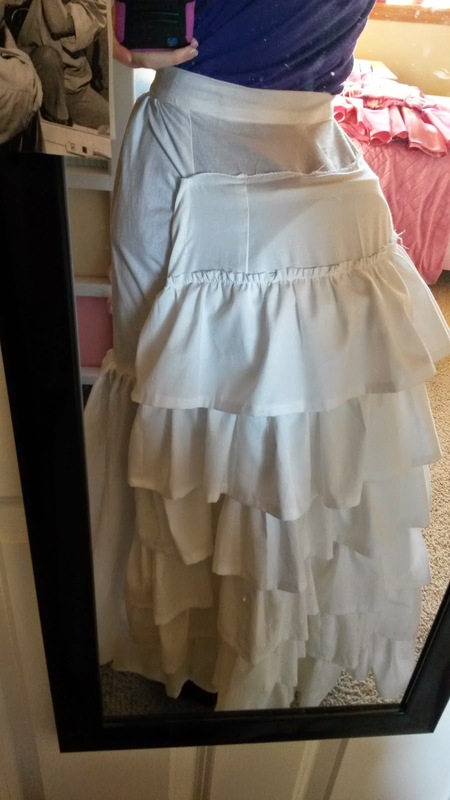 I think I'm just going to add another ruffle to the top to cover it. It'll be an easy fix. 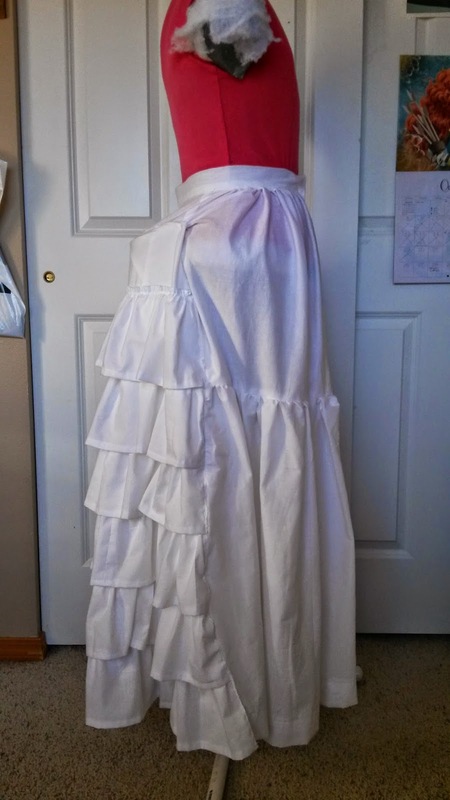 Even though the pattern says that with the ruffle overlay you don't need another petticoat, I'm still going to make at least one more petticoat to get the silhouette I want for the Wishing Dress. I still haven't decided on a pattern yet.